One lucky Lottoland player has just scooped €22m after betting on the outcome of Germany’s 6aus49 draw! Matthias, from Berlin, becomes our biggest ever winner and is the fifth Lottoland millionaire since December 2015. 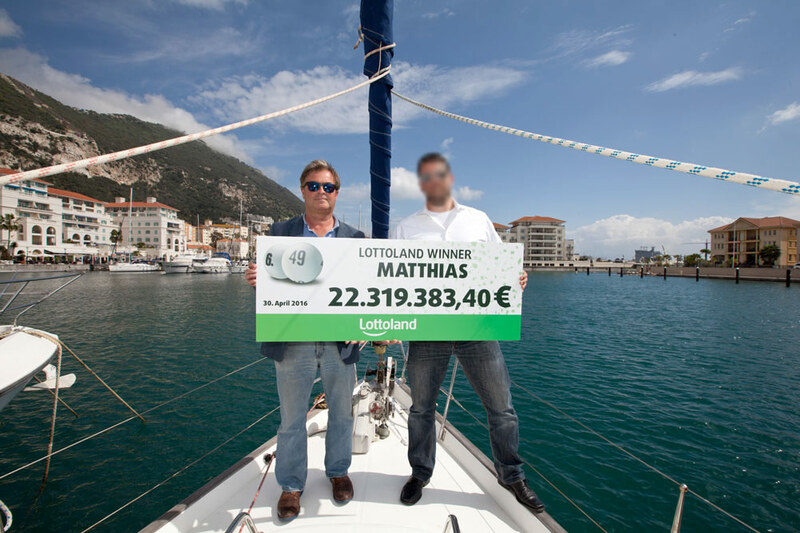 IT consultant, Matthias, is now the biggest jackpot winner in Lottoland’s history. The 36-year-old won €22,319,383.40 (approx. £17.5m) after betting on the 6aus49 draw on Saturday April 30th. Matthias’ lucky numbers were 14, 26,28, 30, 36, 43 and the Superball 6. 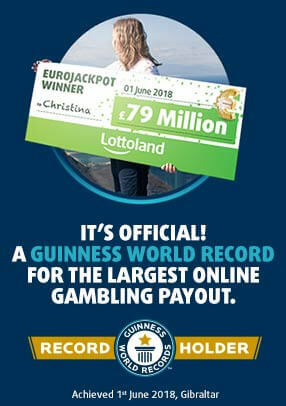 This latest big win comes hot on the heels of a €3.2m win in March and a then record €14m win in February. Prior to those big wins, a Lottoland player won $2m USD on the world record US PowerBall in January, while another walked away €4m richer after hitting the top prize on Spain’s Christmas El Gordo lottery. We asked Matthias how he intended to spend his winnings, and how his approach to life would change now he is a multi-millionaire. Q. What were your first thoughts after becoming a millionaire? A. I'm feeling great. My first thought was I don't have to work anymore. The second was our mortgage is paid off. It's great knowing we can choose exactly how to live now. A. I haven't been this happy or relaxed in a long time. Q. How did you find out you had won the jackpot? A. At first we thought we only had 5 correct numbers, but then we realised we had number 30 as well. We logged into the Lottoland website to double check and that's how we found out for sure. It was a crazy feeling! Q. How did you choose your lucky numbers? A. My wife chose the numbers actually, and they're all a bit random. She picked 14 because my son's birthday is the 10th of April (10th day + 4th month) and 43 because it's my shoe size. We had number 30 purely because the draw would take place on the 30th! Q. How do you plan to spend your winnings? Are there any childhood dreams you would like to fulfil? A. Well, my first thought was "yay! I'm going to get a Ferrari!" In classic red. Other than that, we would like share our winnings amongst family and give some to charity too. Q. Who knows about your winnings so far? A. No one knows besides my wife as we checked the numbers together. Now we need to figure out to tell people! Q. In what way will your life change? A. I've always said that money doesn't make you happy, but it makes you relaxed. So no more checking the bank account every month and having to save up for a new car. I feel like the burden has been lifted from my shoulders. We will both definitely stop working now and do whatever we feel like. Q. What are you planning to do with your free time? A. Whatever my wife and I find interesting. We were discussing this yesterday and we will use the time to do things we enjoy. I want to read more, get a motorbike license and do more sport. We also want to use the time to focus on our family as we would like another child. Q. What do you like most about Lottoland? A. It's simple, easy and uncomplicated. Q. Do you think everyone has the chance of becoming a lotto millionaire? Will you be our next record-breaking winner? There’s only one way to find out. Check out our latest big jackpots for your chance to win a fortune just like Matthias!